Thank you, again, for the kind words, positive reviews, and outpouring of support last week. We are truly grateful that you continue to provide your children a traditional Montessori education — and that you are part of our school community. Applications to MA for siblings of current students are due by this Friday, January 18, to reserve a spot in our programs for the 2019-2020 school year. If you would like to submit an application for a child in your family, please contact Victoria at vlittle@montessori.on.ca or ext. 211 to receive your username and password and begin the application process. 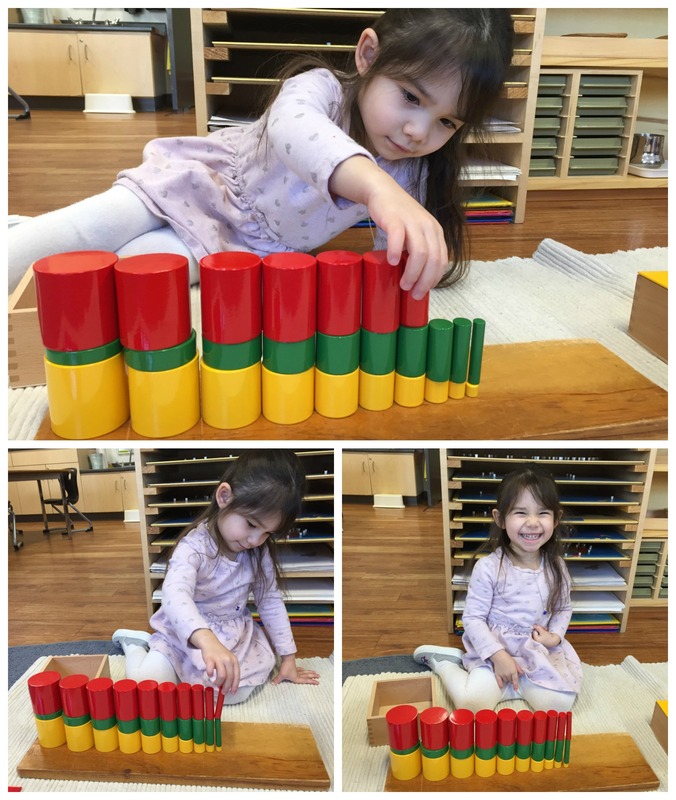 The online application can be found here: https://schoolforms.montessori.on.ca/apply. 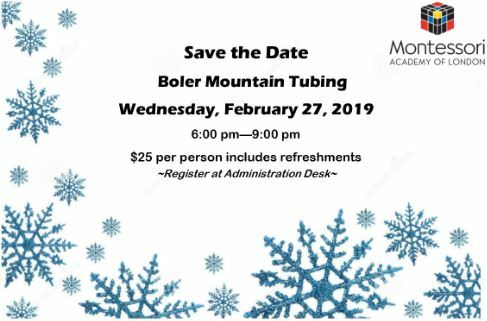 Save the Date – Boler Tubing Night on Feb. 27! Get ready to love winter even more with tubing at Boler Mountain! Join us on Wednesday, February 27, for an evening of family fun! Tickets are $25, and include unlimited trips down the hill, plus hot chocolate and cookies. If your child is interested in participating in the WE service trip to Ecuador in 2020, we invite you to attend an upcoming information session on Thursday, Feb. 21. This trip is for students who will be in Years 6-8 and Alumni who will be in Grades 9 and 10 in the fall of 2019. 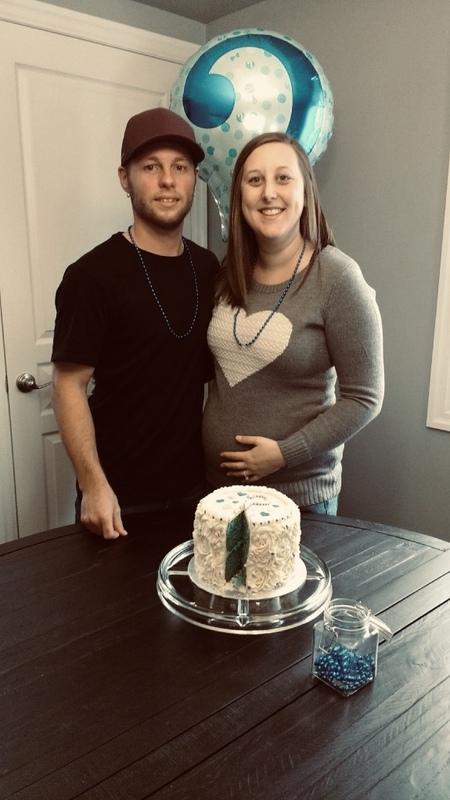 We’re excited to announce that Amanda Querin, our Waterloo Toddler/Casa Site Supervisor, and her husband, Shane, are expecting their first baby at the end of May. And they just found out – it’s a BOY! We are in the process of hiring a replacement to cover Amanda’s maternity leave, and once her position is filled, we will share this news with you. There is no school for students on Friday. The school is open during its regular hours – 8:30 am-4:30 pm. Why is this one so soon after the break? Each school year, we try to align at least a few PD Days with the Thames Valley District School Board’s PA Day calendar to help make it easier for families to find care for our younger students on those days. 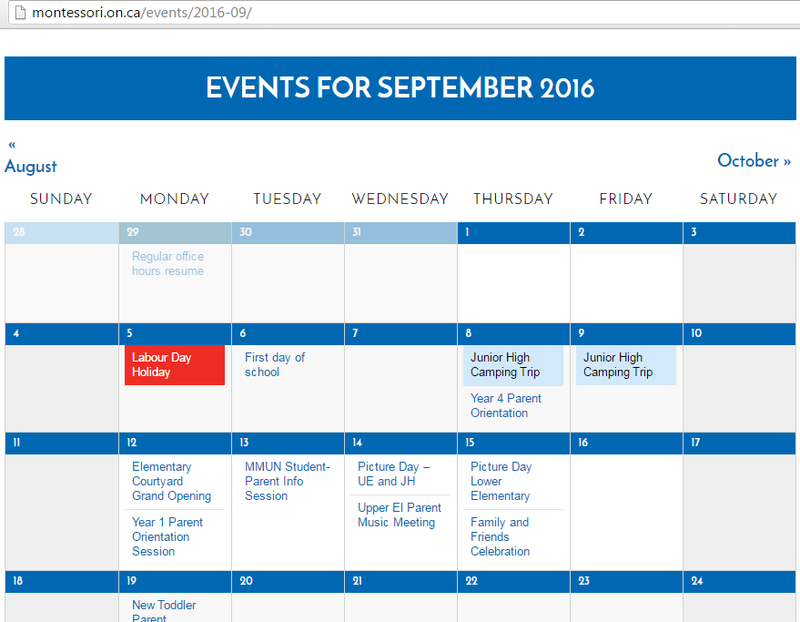 FYI: Next school year we hope to have at least three PD Days align with the TVDSB calendar. The last red cylinder is very tricky to get to stand up. It takes a steady hand, fine motor control and eye-hand coordination. Charlie tried to get it to stand up a dozen times. Perseverance kicked in. She inadvertently knocked over the neighbouring cylinders, but stood them all up again, and kept working on that last cylinder…. I actually heard her succeed before I saw it all completed!! A giggle of pride and JOY quickly escaped!!! She was so proud of herself!! In Oxford Casa 3, we have been busy learning about some New Year’s traditions from around the world this week. 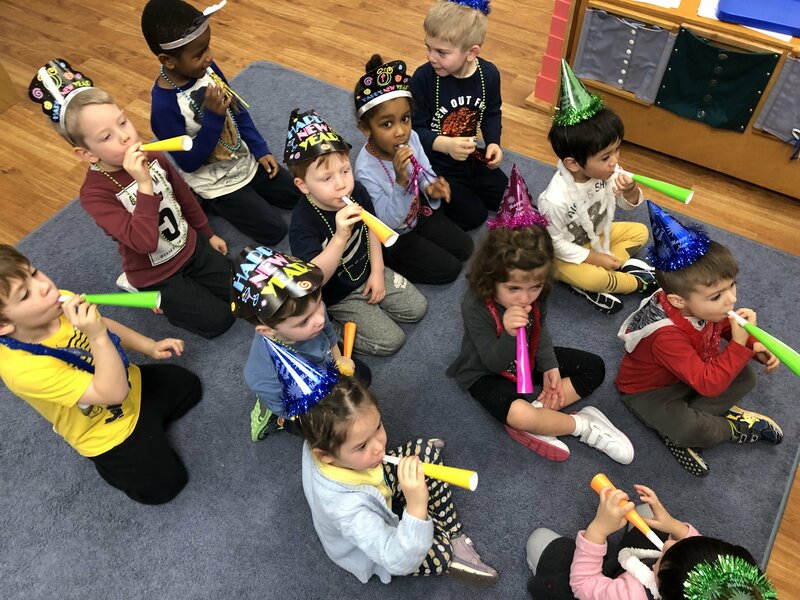 We even had our own mini New Year’s Eve celebration last week, complete with hats and noisemakers! We wish everyone a very happy New Year! In the fall, Metis artist Brenda Collins joined our Lower Elementary students for a very special art project – a medicine wheel. It’s been hanging on the wall outside Junior 3 classroom at 711 Waterloo, and we’ve now added a placard with a full description of the project and its meaning. If you haven’t already stopped by to see the stunning work, please take a closer look at both the wheel and the story behind it. KonMari de-clutter fever got you? The Waterloo Toddler & Casa location is looking for gently used toys if you are doing a clean out after the holidays. We’re looking for things like Playmobil, Lego Duplo, Lincoln Logs, a car mat, play dishes, and babies with doll clothes. Please contact the Main Office and we’ll connect you with Lesley. Thank you! Do you know a teen that is doing something amazing? Volunteering, travelling, excelling at academics, going out of their way to do good, mastering a sport or activity, starting a business, or spreading love and kindness? Tell me about them and they could be featured in our first ever Parent Guide Magazine for Parents of Teens! Email me your amazing teen’s story at info@parentguide.ca. We are on Twitter and Facebook – follow and like us to see updates, interesting articles, photos and more!